There is no way I’m going to spend on super duper high-end cosmetic brands for a lipstick at least, not unless it’s a primer or foundation etc. But I admit, I always wanted to try and see and feel for myself all the reasons for the hype created about all these brands. 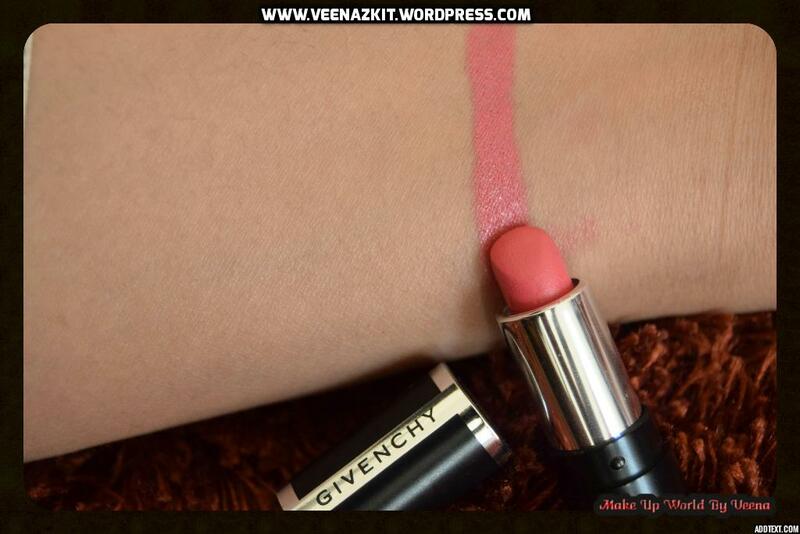 Luckily, I got Givenchy Lipstick in 202 Rose Dressing as a freebie during my last visit to Sephora. Before you say, Sephora? What were you doing there when you don’t want to spend on high-end brands. Well , let me tell you I was there and got myself only Lancome eye base which was worth AED135 and while standing at the counter waiting for my turn, grabbed a Sephora nail color which was I think around aed20 something. 😀 I don’t really go wild when in Sephora. LOL. Though temptation is too much. Anyways, coming back to the review. This lipstick has nothing extraordinary about it that would make it stand out amongst all the other lipstick I own at the moment. What I love the most about this is its color. I just love it! It’s a very nice light pink color with a very light blue undertone which makes is so perfect for wheatish complexioned girls like me. It does feels good on the lips, it is creamy and do not have those overwhelming fragrance that comes along with most of the lipsticks around. But it doesn’t stay long, it can bleed easily which is a turn off. I wear this following my usual lipstick routine. Had it been long-lasting, non-bleeding lipstick , I would have considered buying it . OMG! You have perfect lips! That girl, is your colour!!!! I have purchased so many Givenchy products at great prices from a store on EBAY Treasures from Now and Then. All Authentic and New with fast shipping. highly recommend a peak..